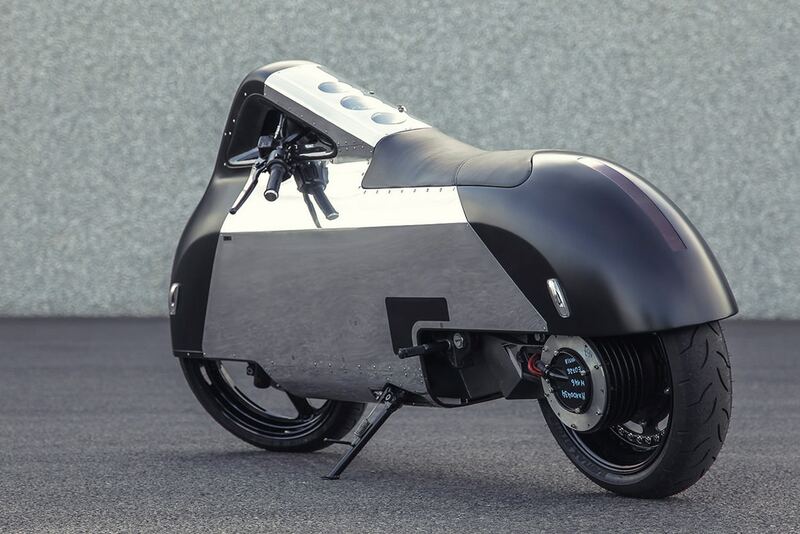 As quoted from Hypebeast on Sunday, September 25, 2017, that the exterior design of the e-bike is very different from the electric motorcycle in general. 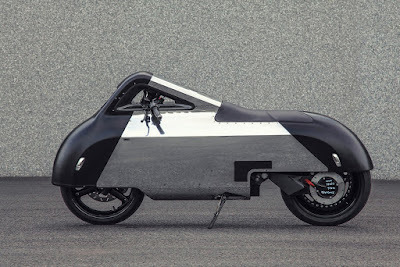 These electric motorbike was built by taking the base of Vectrix VX-1 electric maxiscooter with the concept to covering all of its body with combined metal and fiberglass materials. The design process was four years in the making, beginning with paper sketches to 3D renderings, from which Aguiar used to build the final form with laser-cut steel plates and modeling mastic fiberglass panels. 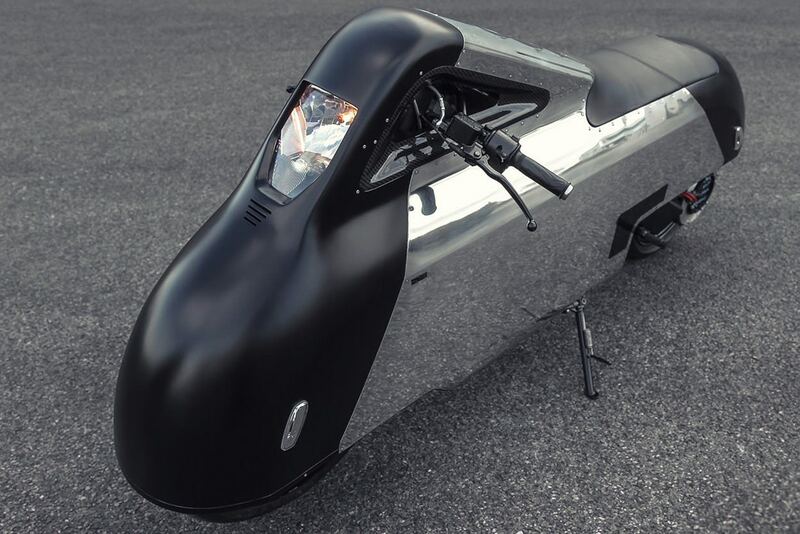 Yes, it is not surprising that eventually these electric motorbike has a body covered by those combined metal and fiberglass materials from front to back. Uniquely, these electric motorcycle displays only left half of the front and rear tires and also there's an electric motor tucked in the rear wheels. These Hope motorbike is a fully electric ride that uses lithium batteries and a rear wheel engine. 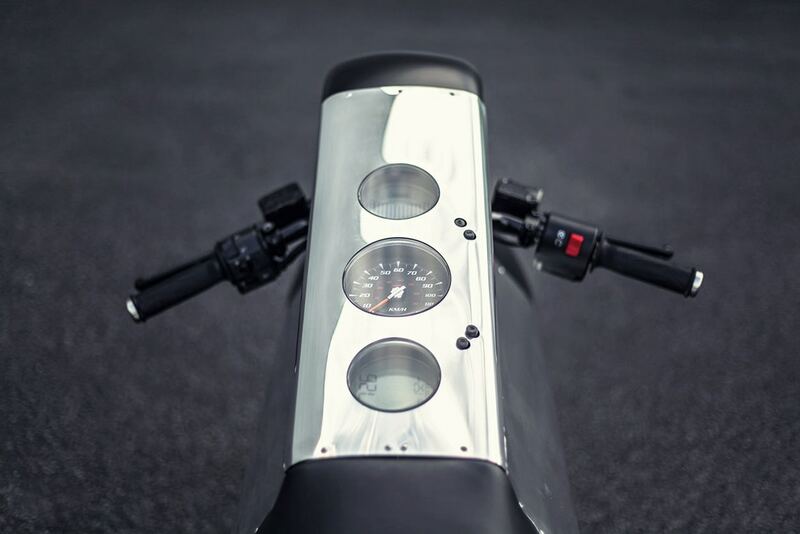 And the ability of these electric scooter is also fairly good, from the power generated by its electric motor was able to make it run up to reach the topspeed 120 kph (75 mph) with coverage range up to 274 km (173 miles). Maybe if you have these unique electric motorcycle, you will feel very affectionate while ride on it because in addition to having a very cool design and it also offers good performance too. Do you like this modification?